And, in true western corporate propaganda fashion, the reports have been built upon since then. There are now allegations that Russia is building “a huge 1,000 personnel compound,” and even a report from the decidedly dubious DebkaFile – an outlet notoriously close to Israeli intelligence which has published as much disinformation as credible information – alleging that the Russians have deployed a submarine loaded with 20 intercontinental ballistic missiles (ICBMs) and 200 nuclear warheads to Syria. All of this is an attempt to further bolster the narrative that Russia is the aggressor, attempting to escalate the conflict in Syria for its own purposes. 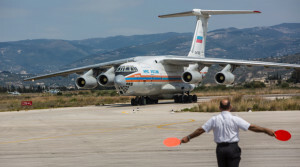 This is also in keeping with comments from Russian President Putin who confirmed what all serious analysts following the conflict in Syria already knew, that Russian advisers have been providing training and logistical support to the Syrian military. 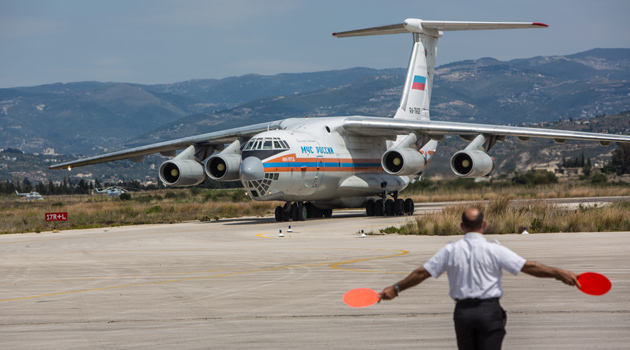 Of course, based on the hype in western media, one could be forgiven for thinking that Russia’s military had moved in and taken command of the war effort in Syria. In reality, Russia’s participation from a logistical and advisory perspective has been rather limited. What is perhaps most interesting about the media coverage and comments from US officials about Russian moves being “destabilizing,” is the fact that since 2011 the western media has published literally thousands upon thousands of articles documenting openly the role of US military and intelligence, and its counterparts in NATO (including Turkey), Israel, and the Gulf monarchies, in arming and training fighters to wage war against the Syrian government (see here, here, here, here, here, and here for just a tiny sample). Somehow these actions are not considered “meddling” or “destabilizing” to the conflict in Syria, while Russia’s alleged involvement is cause for international outcry.